This year the win in men’s K2 category remained in Argentina thanks to Nestor Pinta and Martin Mozzicafredo. It took 13 hours, 41 minutes and 18 seconds to reach the finish line in Viedma. The race was really tough given the fact that Spanish duo Ivan Alonso Lage and Alvaro Fernandez Fiuza needed only a second more to finish the regatta in second place! Sebastian Vergauven and Sebastian Jocano from Argentina were third with ten seconds slower time. Hungarian canoe marathon paddler Adrian Boros joined forces with Argentinean Julian Alganaroz and finished fourth. 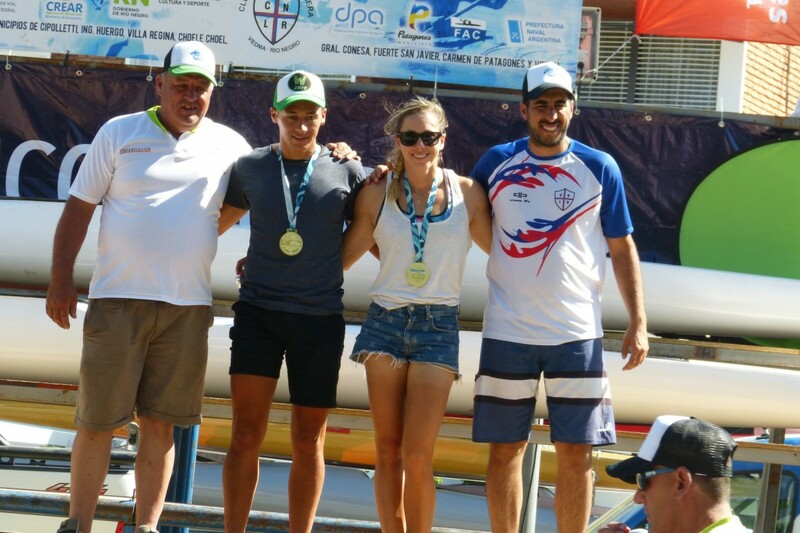 In K2 mixed event Serbian canoe sprinter Kristina Bedec paddled together with Argentinean Maximiliano Ezequiel Dominguez and won. Szofia Czellai from Hungary too paddled together with Argentinean Gastn Marcos Figueroa and finished the race in second place, while Argentinean duo Maria Cecilia Colluque – Lilen Ayelen Galindez. In women’s K2 event win went to Spain thank to Oceane Harmony Brindeau and Aurora Figueras Palomeras who were the fastest and won in front of two crews from Argentina: Natali Sierra – Paola Bianchi and Lorena Ramos – Sandra Noemi Jara.